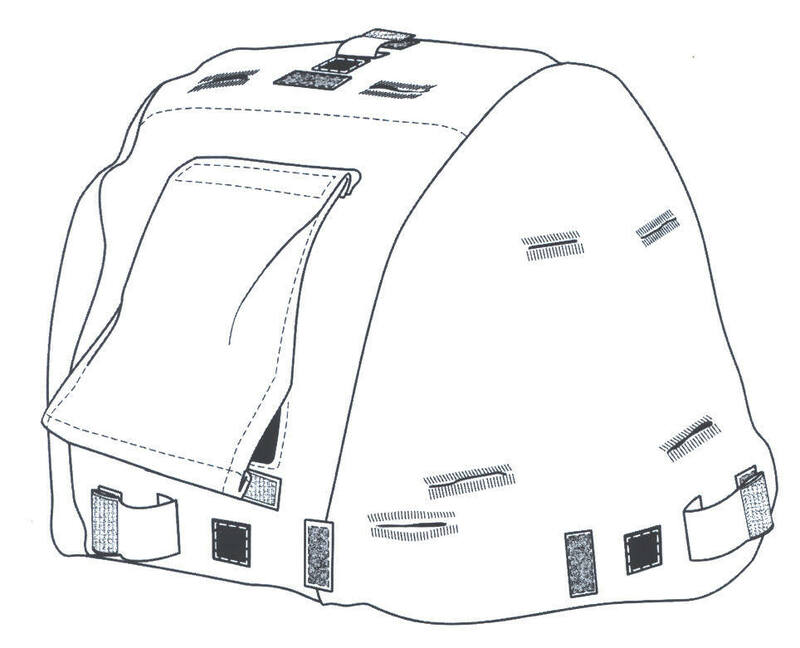 The helmet cover is designed to fit over the ACH. Four classes provide different covers for use in the woodland, arctic and desert environments. The cover provides the helmet with signature reduction in the visible and near infrared spectral ranges, which provides against detection by visual observation or through passive night vision devices. The cover contains buttonholes that allow for the attachment of indigenous plant material and other camouflage enhancing aids. The cover also provides noise reduction (softening noise if the helmet strikes an object). The Type II cover has a communications flap in the rear. The communications flap is used to store cables from the headset-microphone that is sometimes used with the helmet. The basic cloth for the woodland camouflage cover (class 1) shall be Cloth, Camouflage Pattern: Woodland, Cotton and Nylon in accordance with MIL-C-44031, Class 1. The basic cloth for the snow camouflage cover (class 2) shall be Cloth, Plain Weave, Nylon Filament, Lightweight conforming to MIL-DTL-44431. The basic cloth for the desert camouflage cover (class 3) shall be Cloth, Twill, Camouflage Pattern, Cotton and Nylon for Desert Uniform conforming to MIL-C-44034, Class 3. The basic cloth for the universal camouflage cover (class 4) shall be Cotton/Nylon blend twill as specified in MIL-C-44031, Class 1.